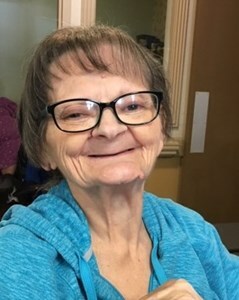 Beverly Ann Howard of Paola, KS died Wednesday March 20, 2019 at Olathe Hospice House. She was born March 29, 1948 in Santa Rosa, MO the first child to the late Dallas and Evelyn Castor. She attended schools in Kansas City, KS at Wyandotte High. Beverly worked outside the home as well as raising and caring for her children. She worked for Waddell & Reed and later in life as a care giver at Lake Mary in Olathe for several years. She loved the people at Lake Mary and enjoyed volunteering and helping with the Special Olympics. Beverly was an adventurous person. She enjoyed traveling, going to concerts and movies, cross stitching, watching sports, and spending time with her friends and family. She loved going to church and had a strong faith. She was a member of Pearl Street Baptist church where she was a Sunday School teacher and volunteered her time. She is preceded in death by her parents Dallas and Evelyn Castor, and her Grandson Scott Leach. She will be deeply mourned by her five children, Lori Leach and her husband Brad, Larry Howard and his wife Melissa, Greg Wiggins and his wife Jeannette, Michael Howard and his wife Renee, Somer Howard and fiancé Tim Davis, Sister Lineta Castor, Brother Richard Castor, Sister Dalleta Dutra, and Sister Dolores Redifer and her husband Calvin, her Grandchildren Dee Leach, Matt Leach, Jessica McMechan, Melissa Coultis, Ronnie Howard, Melody Howard, Michael D Howard, Destinee Howard, Vera Wiggins, Steven Wiggins, Kelsie Wiggins, Ginny Vega, Michael A Howard, Camlen Davis, Kolby Wobker, and 17 great grandchildren, many nieces and nephews, and many friends. Beverly’s family would like to thank the many caring people at North Point of Paola, Ascend Hospice, and the Olathe Hospice House for your care and compassion. Memorial Donation can be made to the Olathe Hospice House 15310 S Marion St. Olathe, KS 66064 in her memory.